It looks like an iconic donut shop and an iconic orange dinosaur are eventually going to be sharing the same space. According to an article in itemlive.com, Kane's Donuts is planning to open a new location within the upcoming Essex Landing development on Route 1 in Saugus, which was formerly home to Route 1 Miniature Golf. The post says that the 3,500-square-foot cafe hopes to open in December of 2017 at the complex, which will include two hotels, 250 apartments, retail shops, and the beloved orange dinosaur that used to be part of Route 1 Miniature Golf--and which will indeed remain at the site. Kane's, which first started out in Saugus in the 1950s, is known in part for its honey glaze donuts and its cinnamon coffee rolls and has received both local and national recognition over the years. 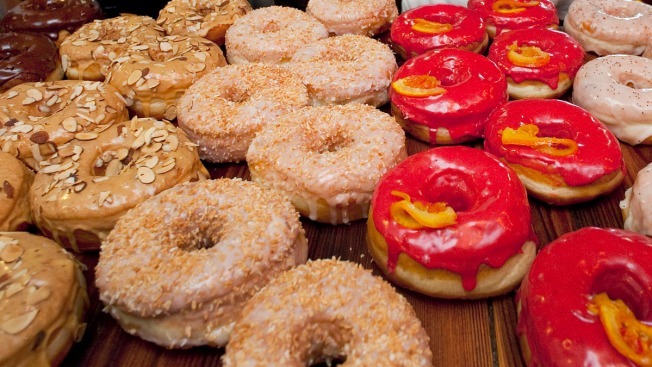 A second location of the donut shop opened in Boston's Financial District last year. The Route 1 Miniature Golf complex closed for good in September after being in business for nearly 60 years.